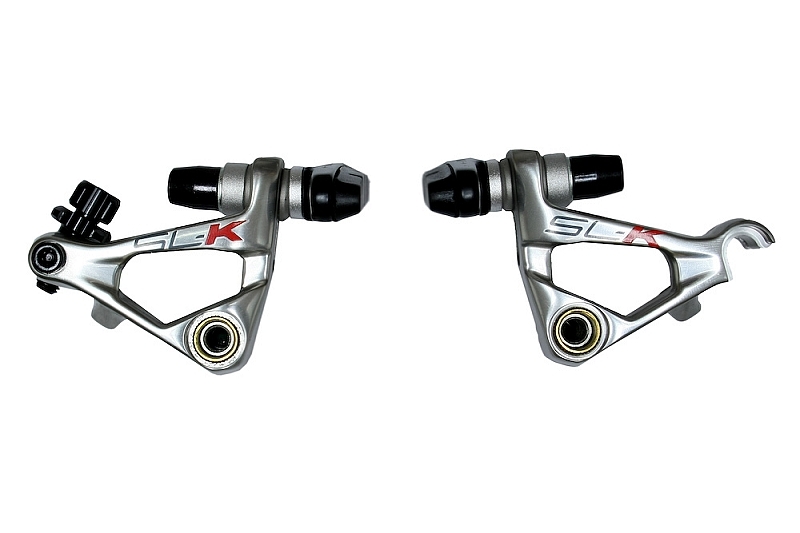 Full Speed Ahead SL-K cyclocross brakes feature 40mm arms for increased stopping power. The stainless hardware will endure the elements for seasons to come. This brakeset has one bolt pad adjustment for easy setup and maintenance too. Each set comes with two built in cable adjusters for added ease of use. Unlike many brakes available today these also have adjustable spring tension so you can set up your brakes the way you like them. The Full Speed Ahead Brakes are designed for you to personalize! Available in Black or Silver. 113 grams per caliper.